Sri Ram International School was a lifelong vision of late Shri Ram Kumar Singh ji. 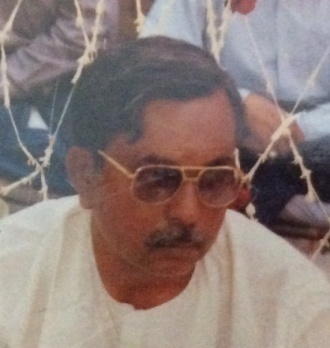 A local resident of Vaishali, who was simple in lifestyle and powerful in vision. It is on his ancestral property and resources that People and family close to him took up the task to establish an international class educational institution. An institution which is humble, but solid, small but far-sighted. Nurturing young minds and in-turn emancipating individual, families and society at large. He realized this when he had to send away his children at a very early age to distant places for education. The pain of a parent and realization of that of his children staying away from the warmth and care of home, he envisioned of such an institution. An institution based on all round development of child. Where the teacher is an all encompassing giver of knowledge, having his place greater than God.